He Y., A. H. Monahan, and N. McFarlane (2013), Diurnal variations of land surface wind speed probability distributions under clear sky and low cloud conditions, Geophysical Research Letters, Vol 40, 1-7, doi:10.1002, PDF. He Y., N. McFarlane, and A. H. Monahan (2012), The influence of boundary layer processes on the diurnal variation of the climatological near-surface wind speed probability distribution over land, Journal of Climate, 25, 6441-6458. Article, Supplement. Monahan A. M., Y. He, N. McFarlane, and A. Dai (2011), The probability distribution of global land surface wind speed, Journal of Climate, Vol 24, 3892-3909, PDF. He Y., A. H. Monahan, C. G. Jones, A. Dai, S. Biner, D. Caya, and K. Winger (2010), The probability distribution of land surface wind speed over North America, JGR-Atmosphere, Vol. 115, D04103, doi:10,1029/2008JD010708, PDF. He Y. (2009), How surface latent heat flux is linked to lower tropospheric stability in Southern Marine Stratus and Stratocumulus Regions, Cent. Eur. J. Geosci., Vol 1, No.3, 368-375 PDF. He Y. (2009), Surface wind speed probability distribution in the Southeast Pacific of marine stratus and stratocumulus regions, Cent. Eur. J. Geosci., Vol.1, No. 4., 443-456 PDF. He Y., N. McFarlane, A. H. Monahan, and John Scinocca, 2017, "A New Diagnostic Turbulence Scheme in CanAm4 Climate Models", CMOS 2017 Annual Meeting, Toronto, ON, Canada. He Y., N. McFarlane, A. H. Monahan, and John Scinocca, 2017, "Understanding and Representing Stable Boundary Layer Over Cold Regions Based on Observations and A New Diagnostic Turbulence Scheme in CanAm4 Climate Models", EGU 2017 General AssemblyVienna,Austria. He Y., N. McFarlane, A. H. Monahan, and John Scinocca, 2016, "New TKE Based Turbulent Transfer Scheme in the CCCma Models", CNRCWP 2016 Annual Meeting, Montreal, , QC, Canada. He Y., A. H. Monahan, and N. McFarlane, 2014, Simulating Diurnal Variations of Boundary Layer Winds, Temperature, and Humidity using the New Diagnosed Turbulence Parametrization Scheme in CAM-SCM", CNRCWP 2014 Annual Science eeting, Montreal, QC, Canada. He Y., A. H. Monahan, and N. McFarlane, 2009, Non-Weibull behavior of global land surface wind speed, CRCMD Annual Meeting, Montreal, QC, Canada. PhD., Atmospheric Dynamics, Georgia Institute of Technology, USA, Advisor: Prof. Robert E. Dickinson. 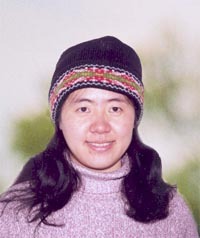 This page is maintained by Yanping He.